Our main activity is the buying and selling of works of art, as well as occasionally advising and negotiating third-party art transactions. We sell objects that we own or which are entrusted to us by collectors. HOW DO WE CHOOSE THE WORK OF ART ? 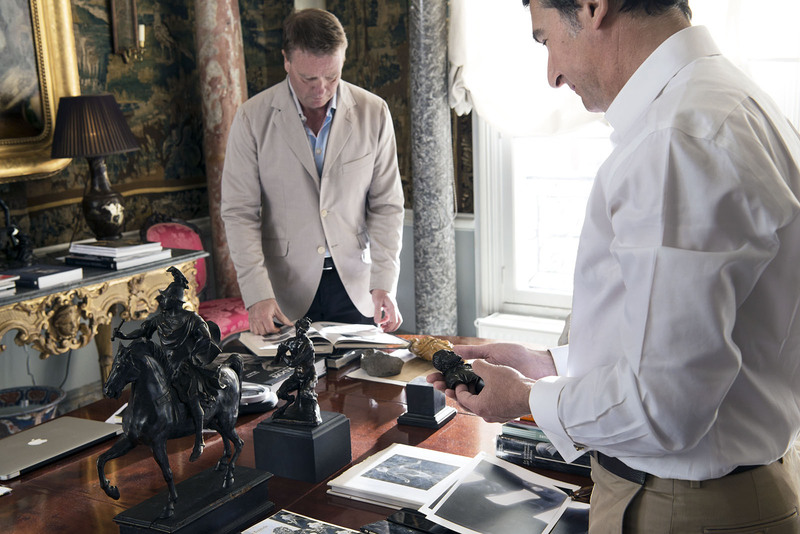 Acquiring sculptures is the most challenging part of our job. Although we don’t limit ourselves to the materials and buy works of art across many periods, we are very selective in the choices we make. 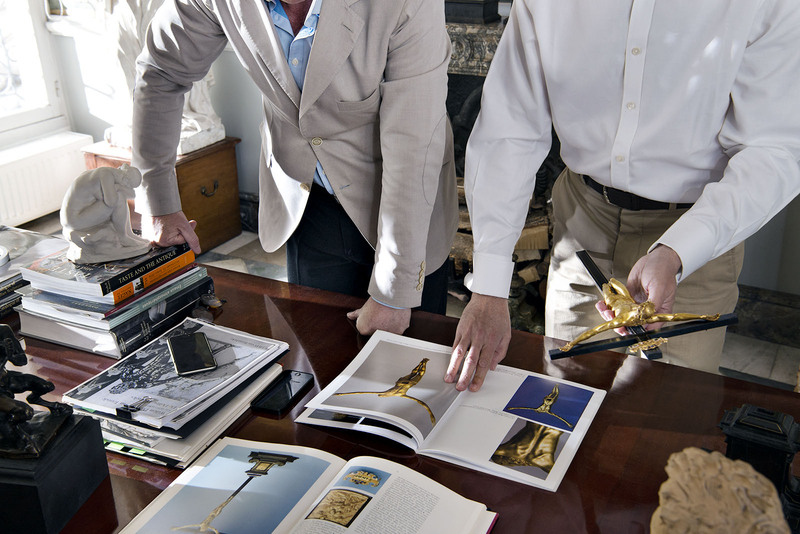 Being an art dealer is offering our personal taste. 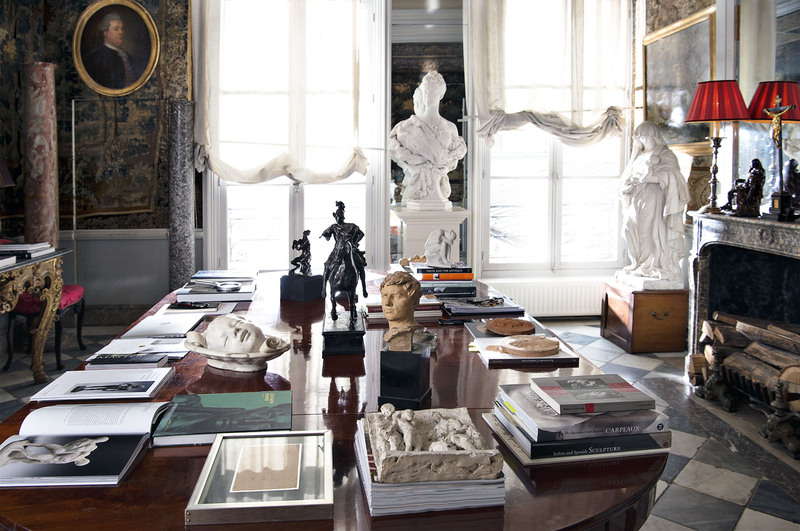 We want the works of art to be high-end and interesting, and the rarity and beauty are of course de rigueur. Besides that, we like our sculptures to possess a degree of the avant-garde at the time of conception but we do not exclude objects that are perfect examples of the taste of their time. We value objects with a very new or complex technique of execution, and objects that tell a story either by their provenance, and/or their conception. Research is a big part of our job. We think dealing in art requires a profound knowledge and understanding of art history as well as a good idea of what happens in this complex market. Part of research is also realizing what you don’t know. Contacting and establishing a dialogue with art historians, scientists, and specialists is part of our job. We always maintain good contacts with specialists in their field of expertise and back our own research with an expert’s publication and opinion on our sculptures. We keep informed on recent art historical research as well as on the latest techniques to determine authenticity: X-Ray, XRF testing which is the analysis of the metal alloy and thermoluminescence which dates the time when a terracotta was last heated. Does the work of art need restoration ? It is always a difficult subject matter. Obviously many objects that we offer for sale need to be at least cleaned, some repaired and sometimes they need to be saved from time deterioration or from inferior conservation. Once more we base our decision on art historical, technical and ethical reasons. Pricing is based on our evaluation of the object and its market value based on general global market prices. However, if the auction results seem too high we offer our stock at what we think is reasonable market value. Hence, our prices can be more competitive than those of an auction house. Good art does not always have to be very expensive. As with every product, art is often influenced by fashion. We also try to offer objects that we think are very interesting but not necessarily understood by today’s market. Great works can be obtained without spending millions. We encourage an open mind; we offer objects that match all of our standards at prices that start at a few thousand euros. As everybody knows art can be a good investment. As with all investments, knowledge of the market and its risks by the investor himself is almost compulsory. We have a strong feeling that sculptures are a good long-term investment, as they do not experience the same price fluctuations as other forms of art in speculative bubbles.